This slideshow will walk through the simple example step by step. 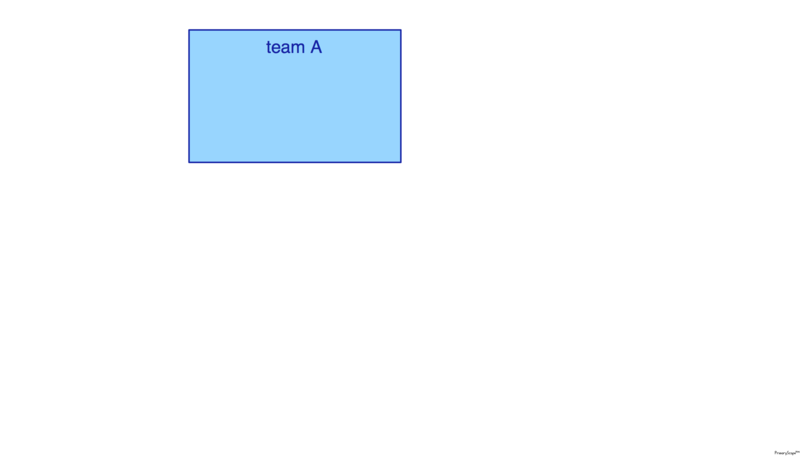 We start with Team A which is a structure. 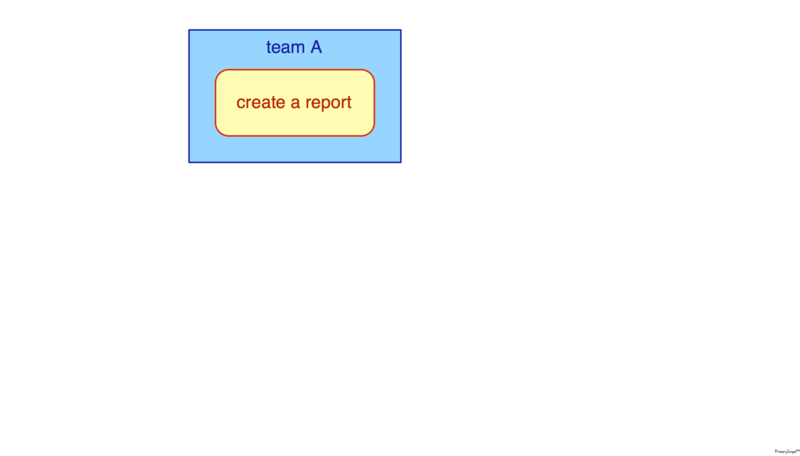 Team A is responsible for generating a report. To generate the report Team A uses a system which has the ability to create reports. 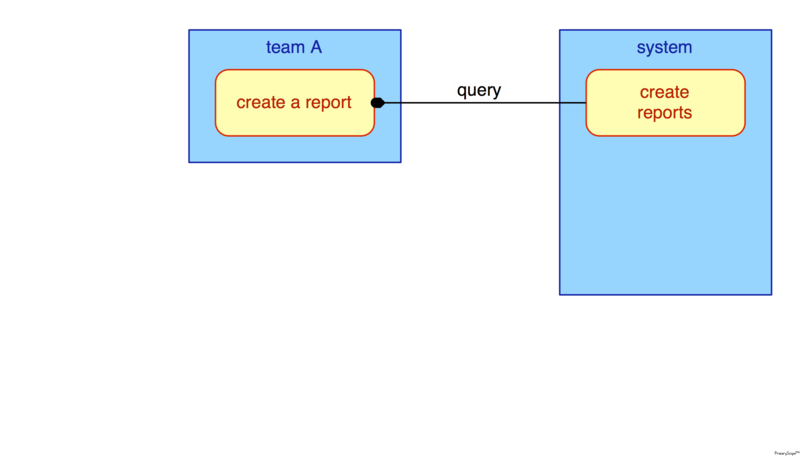 The system function of generating a report reads from the systems stored information. 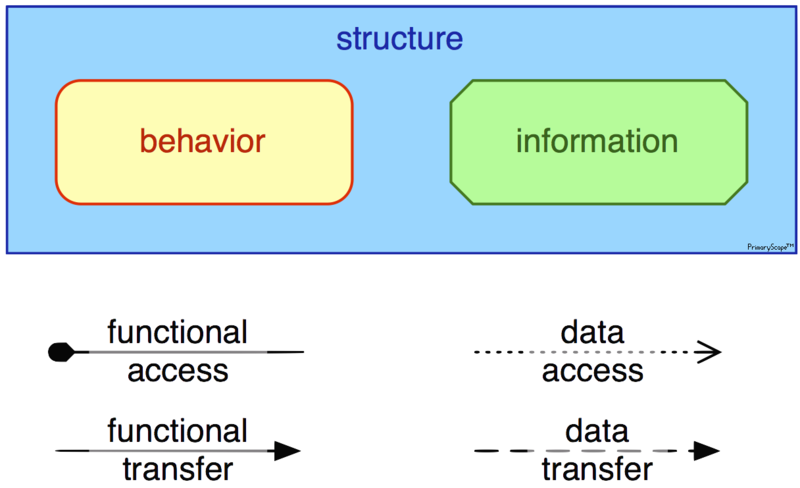 The arrow of the functional access now indicates that the main direction of the information is from the system to Team A. 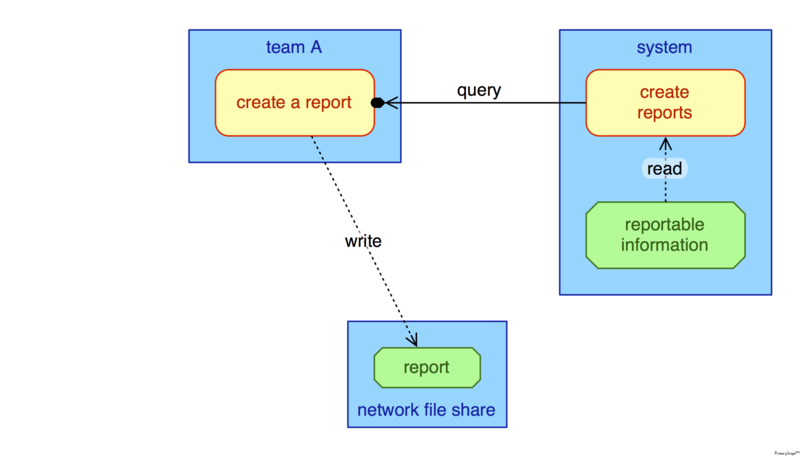 Team A stores the received report (information) on a shared folder (structure). 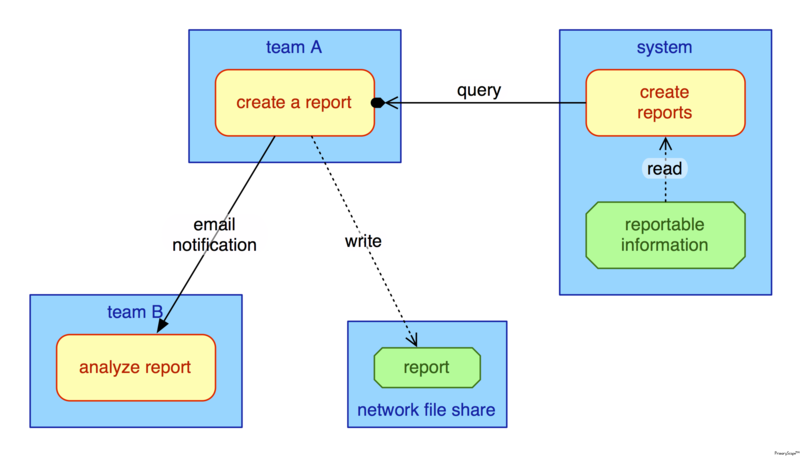 Team A emails Team B that the report has been generated and stored on the shared folder. The email triggers Team B's work which is to analyze the report which is read from the shared folder.